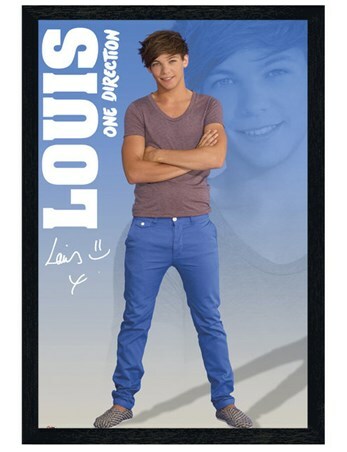 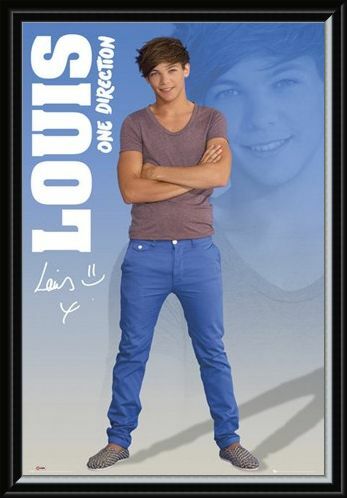 Music Maxi Poster: If you are a One Directioner and you have a soft spot for Yorkshire boy Louis Tomlinson then this gorgeous blue maxi poster will make a great addition to your bedroom wall. 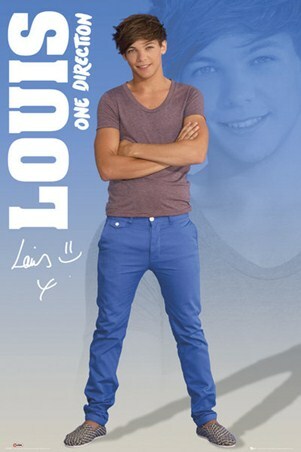 Louis is pictured in blue jeans and a brown t-shirt as he poses with his arms folded across his chest. 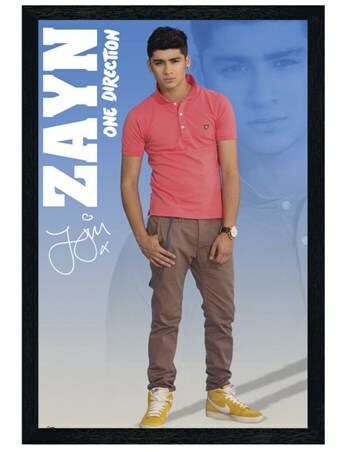 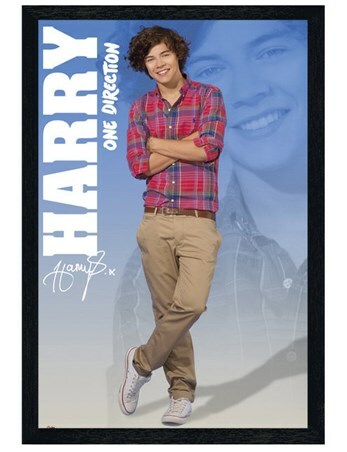 With an enlarged and faded image of the pop sensation in the background and a pre printed autograph below his name, this maxi poster has all the right ingredients to earn a place on any 1D fan's bedroom wall. 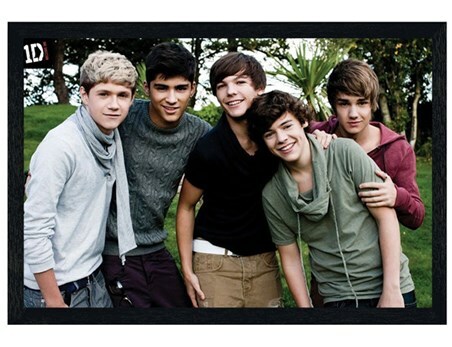 High quality, framed Louis, One Direction poster with a bespoke frame by our custom framing service.